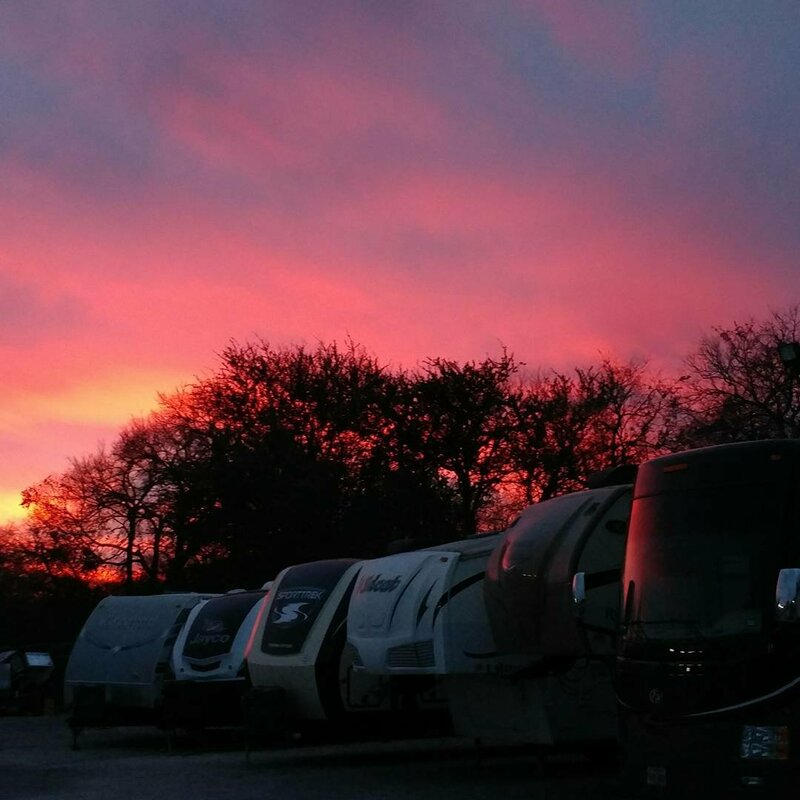 So our first official adventure in our new RV last just 30 minutes and ended at the Texas RV Service center. Don’t worry, we didn’t break down. This was all planned. 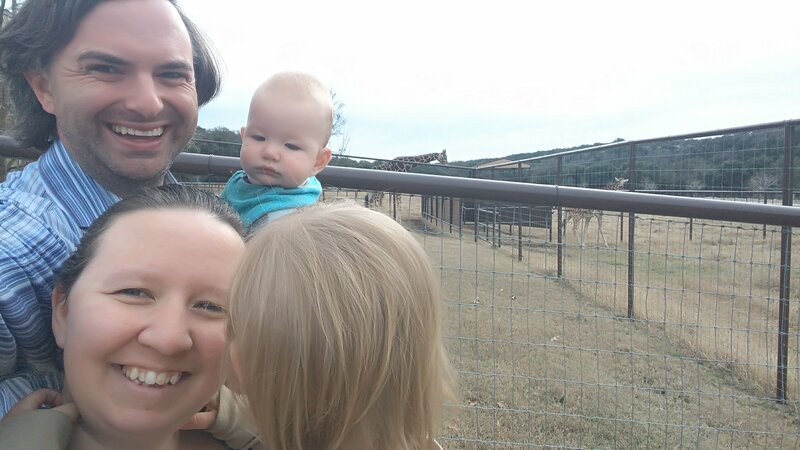 Part of the reason we started this adventure was to spend time together. 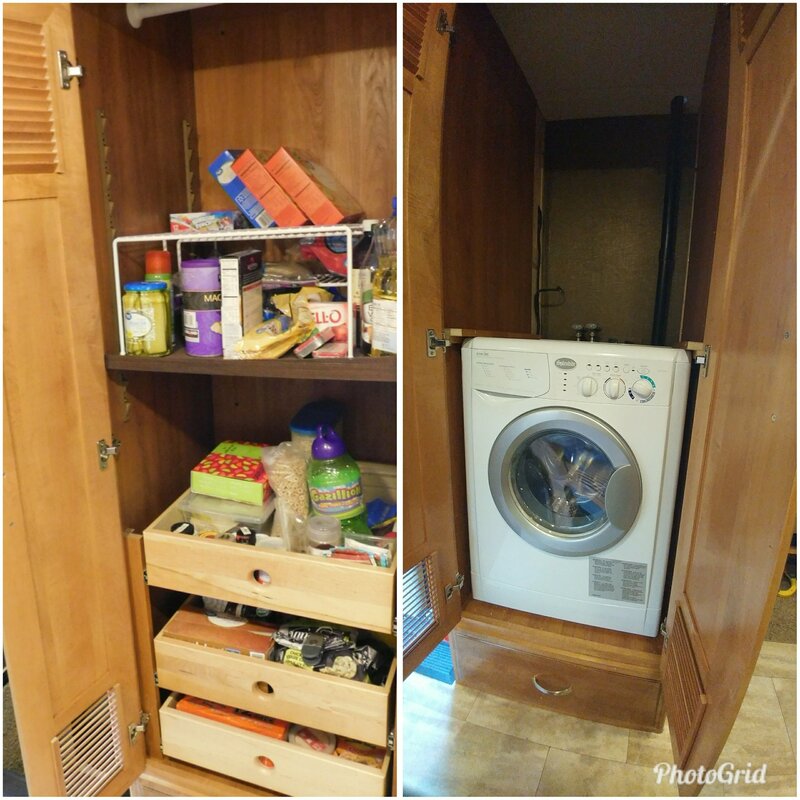 Unfortunately, trailers aren’t equipped for laundry or dishes – two tasks that usually pile up and take a while to tackle. 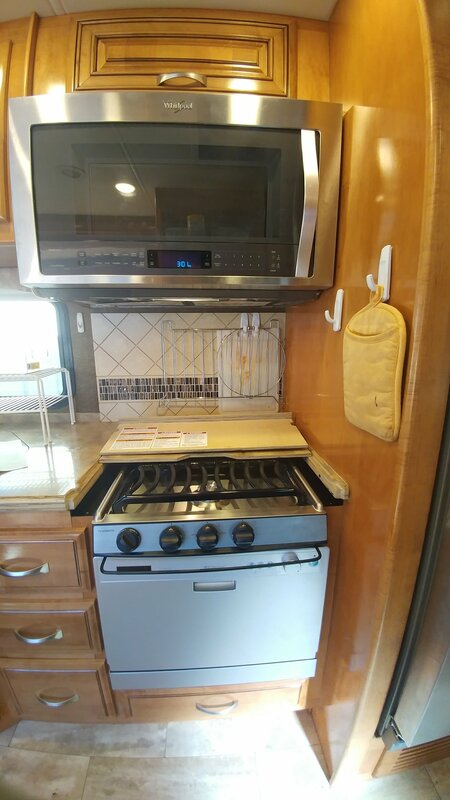 So after we got our new RV, we made an appointment to have a washer-dryer, dishwasher and new cooktop installed, have our slide fixed, add some additional batteries to our battery bank (which allows us to store more power and go longer between hooking up to electrical), get the car ready to be towed and get some minor trim work done. Day 1: Damon got up early and took the mini-man to the shop. 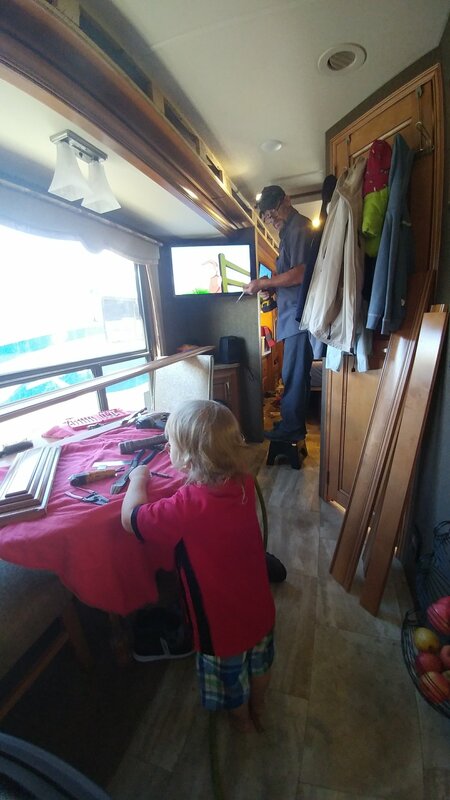 While they worked on the car, Damon came back to the RV and we got ready for our first drive. 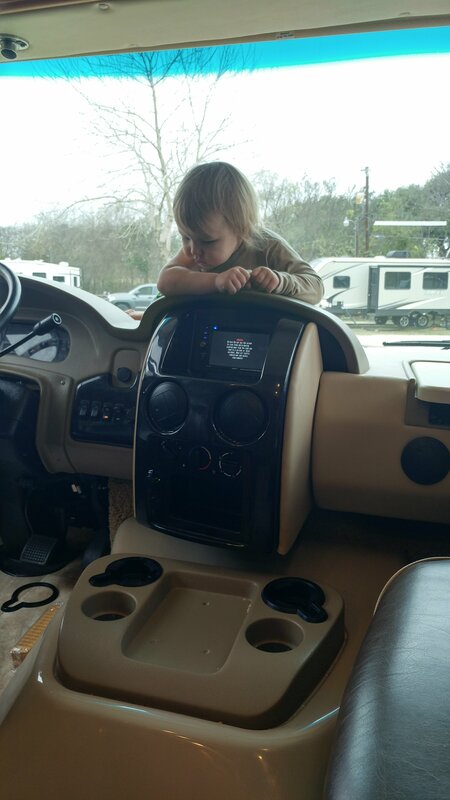 Thankfully, we had lots of practice from our travel trailer, so packing up didn’t take to much time. 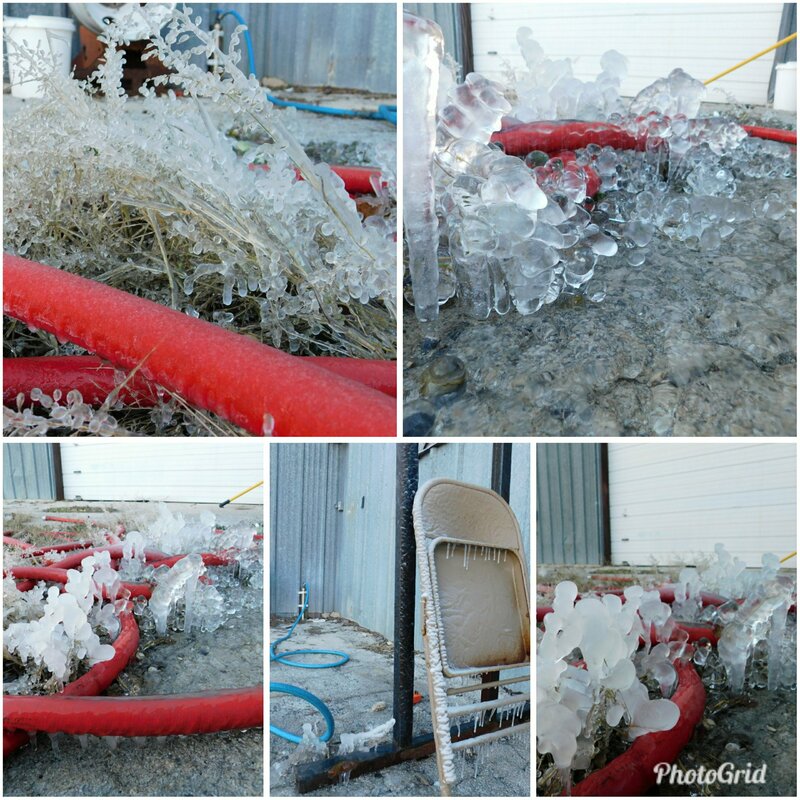 The hose had a leak which froze over night! 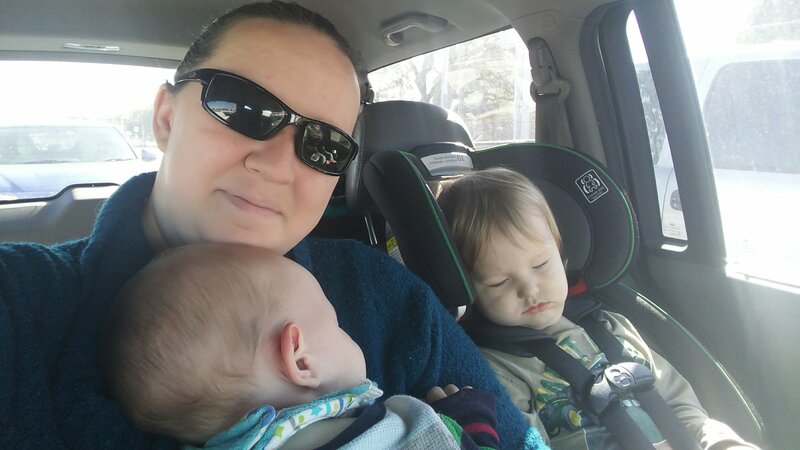 Instead, Damon did some shopping while the boys slept in the car with me. 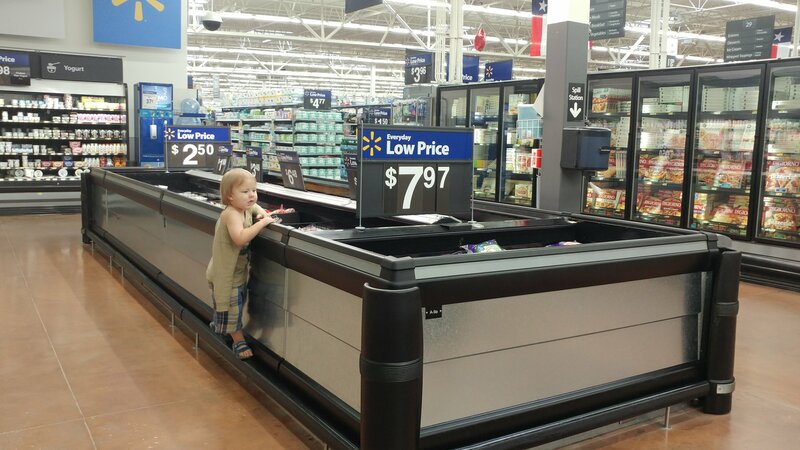 Once they woke up, we went grocery shopping, one of mini-man’s favorite activities (he loves all the food). When we got back, our new washer-dryer was in! Day 3: We we’re hoping to have all of the work done by today, so we ventured out again. 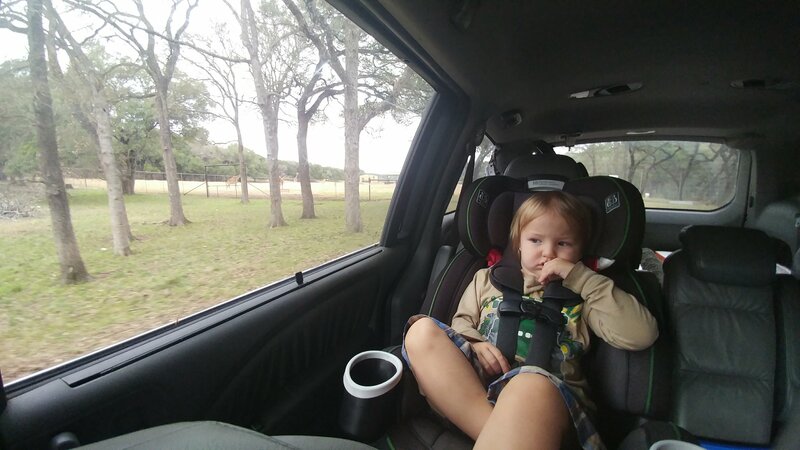 This time, we did make it to the zoo. 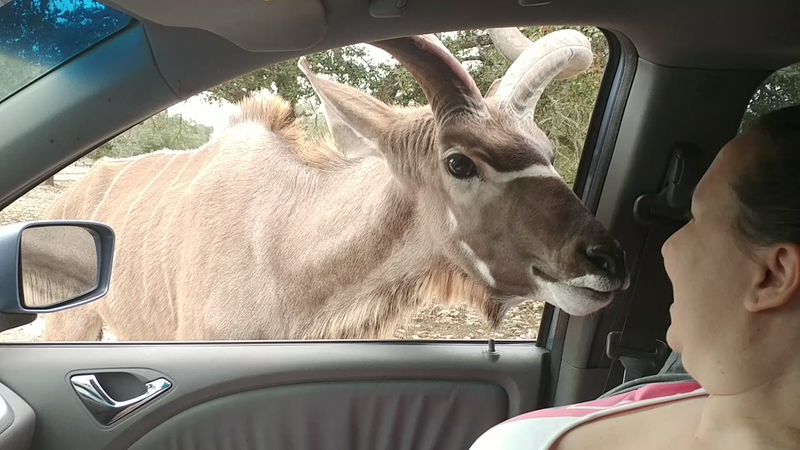 The Natural Bridge Wildlife Ranch is home to hundred of wild animals. When you arrive, you are given a bag of food to encourage animals to visit you. 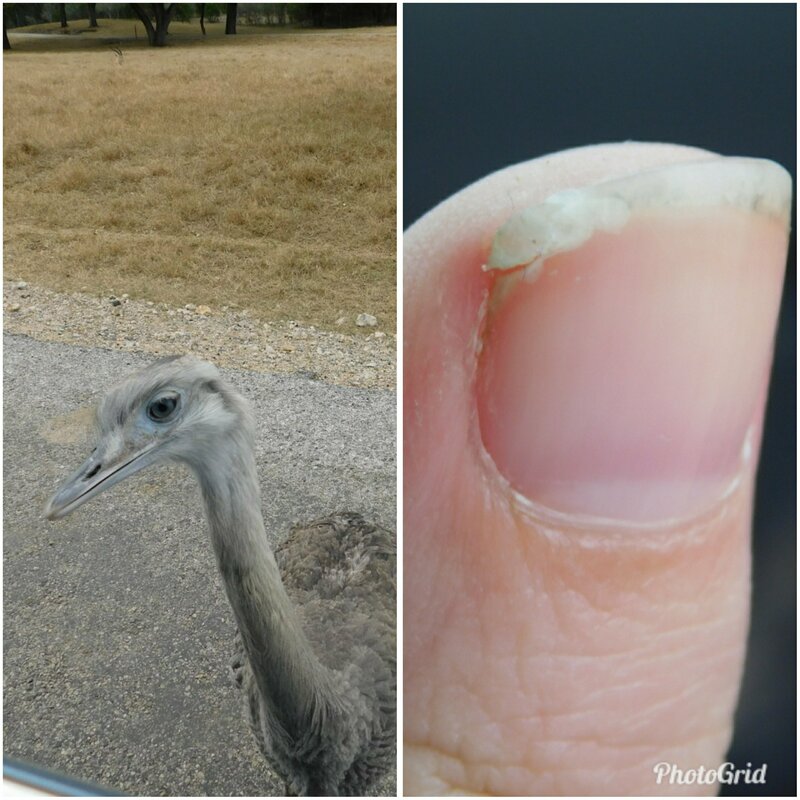 Unfortunately, this brought out the worst in other drivers – driving slow or stopping, hanging out of the windows, touch the animals – all things not permitted by the park but there’s no supervision along the way. Even I got bitten when I tried to throw food out the window. All-in-all, it was fun and amazing to see these animals so close up. However I’d rather visit when it’s not so busy. 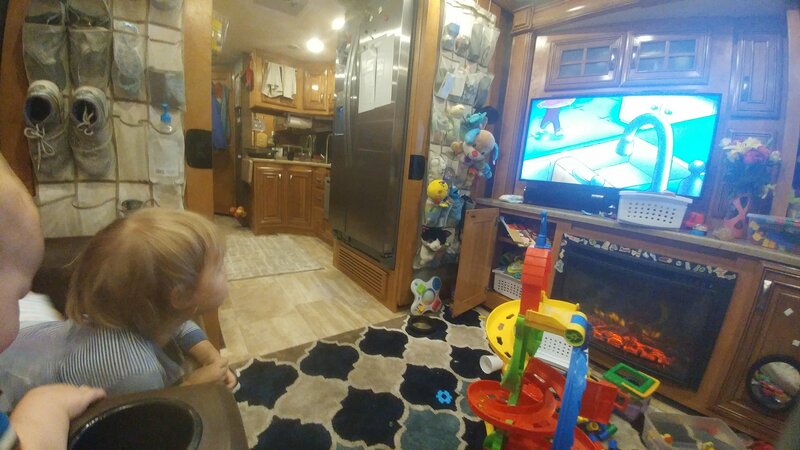 After the zoo and some errands, we came back to the RV. Unfortunately, we got back after closing and couldn’t tell if any work had been done. 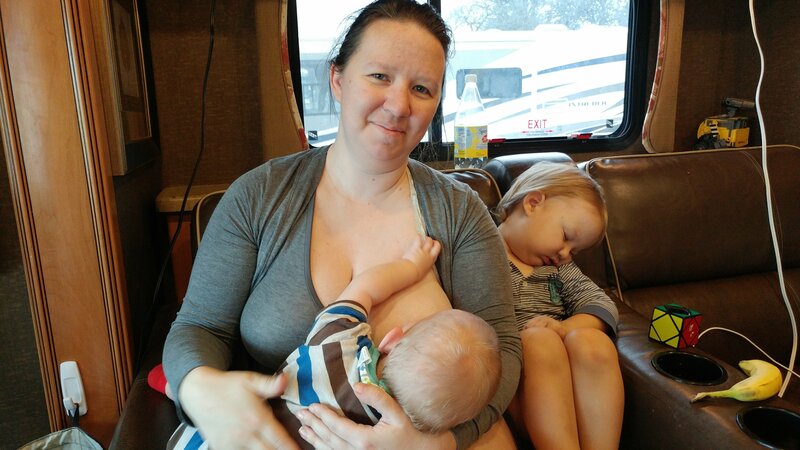 Day 4: After a very long night with very little sleep, we decided to stay in the RV while it was worked on. 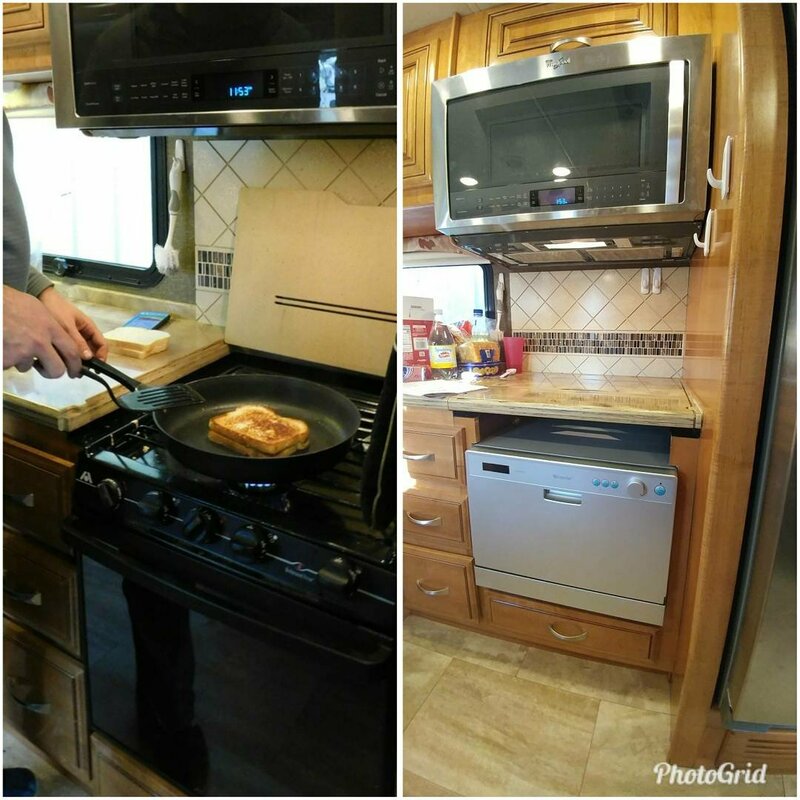 We learned that a lot had been accomplished but our goal of leaving were dashed – the dishwasher, the slide, and the cooktop all needed to be finished. Day 7: Woke up Monday morning, tired but ready to get on the road. Unfortunately, our stove hadn’t arrived. It was due to be delivered at some point, so we were at the mercy of the delivery company (we don’t know which one has it 😑). Finally, at 2 o’clock, our stove top was delivered and installed! Every thing is now, officially done, and we can hit the road. 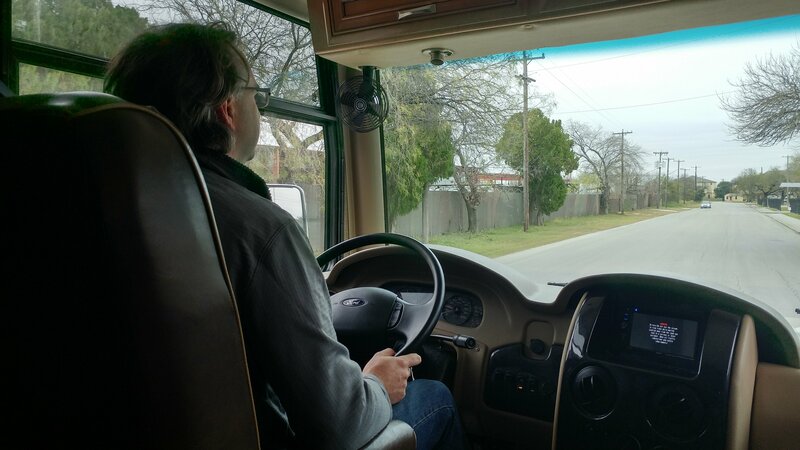 Next stop – Seminole Canyon Camp Ground.